I don’t know how but Amazon still has more protein powder brands to discount. 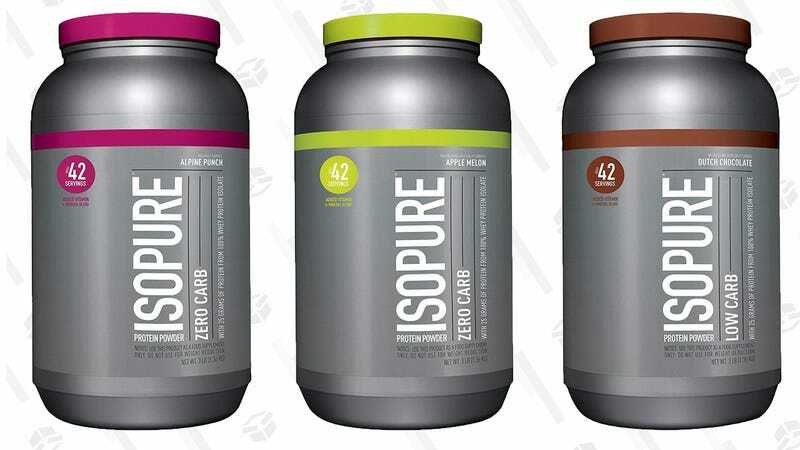 And if you missed the bajillion other sales, they’re running a big one day sale today on Isopure zero-carb powder, in a huge variety of flavors. Prices vary a bit by flavor, but you’re generally looking at about $30 for three pounds, which is pretty darn good. You can also save a little more if you use Subscribe & Save.